We’ve got ten questions in this week’s mailbag. Good mailbag, I think. Glad it’s the offseason and we finally have some more things to talk about it. I’m not sure how many more questions I could answer about Miguel Andujar’s ultimate position before going crazy. Anyway, RABmailbag (at) gmail (dot) com is the mailbag email address. Fire away. Phil asks: Marwin Gonzalez. The perfect FA match. He can play 2B (with Gleyber at SS) until they figure out the Didi situation. He’s the super-utility starter they hoped Wade would become. And he won’t cost a TON. 1) Am I right, or am I RIGHT? 2) What do you think the damage will be in years/dollars? Thanks. Gonzalez is one of those free agents who’s a good fit for every team because he’s so versatile. He can play all four infield positions — and play them well, which is kinda important — as well as left field. I don’t think I would ever expect him to hit .303/.377/.530 (144 wRC+) like he did in 2017 again. That seems like one of those perfectly timed career years teams need to win a World Series. Since 2014, Gonzalez has been a 100-110 wRC+ guy with 12-15 homers annually aside from that 2017 season, which is pretty good. Switch-hitter who takes walks and will sock one out of the park every so often while playing all over the field? That guy fits every team. As for the cost, man, I don’t know. I feel like it’s impossible to predict free agent contracts this offseason because everything was so wacky last offseason. Gonzalez turns 30 in March, so he’s not old. I think his asking price starts at Ben Zobrist’s contract (four years and $56M). Gonzalez is five (!) years younger now than Zobrist was when he hit free agency, though his track record isn’t as good or as long. In a normal free agent climate, four years and $56M would be reasonable in my opinion. In this free agent climate? Who knows. Ian asks: I understand he *should* retire a Giant, but the fact remains that SF has not extended Bumgarner yet, he’s set to become a free agent next year at the age of 30. Am I crazy for thinking he might be available? Why would they wait for him to get closer to FA before extending him if they have no intention of letting him go? It’s not like they’ll be in ‘win now’ mode in 2019, and I’d gladly take a shot at 30 year old MadBum. 30 is older, but it’s not that old to where I’d pass on him. The Giants don’t have a general manager or baseball operations head right now. GM Bobby Evans was let go and longtime executive Brian Sabean is moving from president of baseball operations into a less demanding role. I assume the decision to trade or extend Madison Bumgarner will wait until the team has a new front office in place. Either that or ownership will step in and give him that quote-unquote lifetime contract. I would happily take on one year of Bumgarner. Bring him aboard and see how the season plays out before deciding whether to sign him long-term. If the Giants do decide to trade him, they should do it sooner rather than later. Trading him now nets the best possible return. Look at Manny Machado. Look what the Orioles got for him compared to what they could’ve gotten last winter. A full season of Bumgarner is much more valuable than two months of Bumgarner at the deadline, plus there’s always injury risk to consider. The Yankees should absolutely check in on Bumgarner if the Giants decide to move him. They should do more than check in, really. They should pursue him aggressively. I don’t think putting Justus Sheffield in the trade would be unreasonable either, even for only one year of Bumgarner. He’s great and you have to pay to get great. The Giants presumably have to get their front office in place before any of this happens. I wonder if this means the free agent pitching market will be held up until San Francisco makes their intentions with Bumgarner clear? Douglas asks: Short and sweet: do you think Keuchel would part with majestic beard of his to become a Yankee or would that be a sticking point? Is it time to revise the facial hair policy of the Yankees–goatees and well-groomed beards allowed? Seems like the thing to do upon leaving the Yankees is grow a beard. Getting rid of the facial hair policy is long overdue. It is pointless. Baseball players are not working class Average Joes. Lots of folks would lose their job if they showed up to work with a baseball player beard. Baseball players don’t live in the same world as most folks though. Baseball is the entertainment business, first and foremost. Part of that entertainment is letting players be themselves and show some personality. There are a lot of ugly beards out there, but, if a player wants an ugly beard, let him have an ugly beard. I see no problem with this. As for Dallas Keuchel, if he refuses to sign with the Yankees because of the facial hair policy, so be it. I’m not all that eager to sign him anyway. His strikeout (17.5%) and ground ball (53.7%) dropped considerably from last year (21.4% and 66.8%), and an upper-80s sinker guy is not really my cup of tea. Keuchel is 30 and he pitches like I want a 35 or 36-year-old to pitch after he loses his stuff. I don’t want to invest big money in a guy who might be sitting mid-80s by year three of a long-term deal, especially given the performance decline we saw this year. 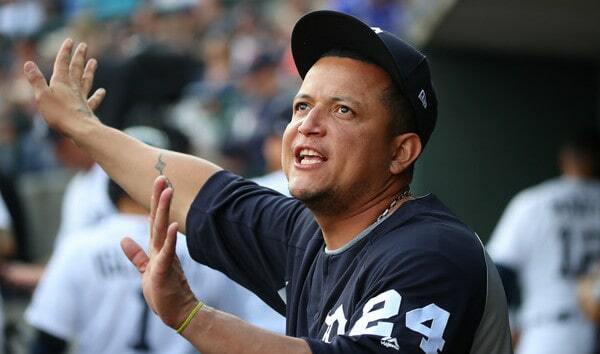 Patrick asks: Would you consider a trade for Miguel Cabrera if the medicals check out? Send over Ellsbury and maybe a lower level minor league arm or two and the Tigers send Cabrera and cash to make the financials a wash. Cabrera could potentially be much more useful at 1b. Nope. There are five years and $154M (!) remaining on Cabrera’s contract. Send over Jacoby Ellsbury to offset salary and you’re still taking on $107M for a guy who’s starting to break down physically (played 445 of 648 possible games the last four years) and has seen his performance slip. Cabrera’s an all-time great who should waltz into the Hall of Fame on the first ballot when the time comes. We’re talking about taking on what figure to be heavy decline years though, and chances are he’ll be relegated to DH before long just to keep his body in one piece. How much would the Tigers have to pay down to make this worthwhile? Turn him into a $10M a year player? Even that doesn’t excite me. The time to get Miggy was ten years ago when he was in his prime and the Marlins put him on the market. Trade for him now and you’re asking for trouble. This feels like an old Yankees move. James asks: Not a question just an observation: Your continual comparison of pitchers ERA with Sanchez and Romine behind the plate fails to take into account that Romine caught the majority of Gray’s starts. Near the end of the season I calculated the staff ERA difference and, if I recall correctly, removing Gray from the equation led to nearly similar staff ERA’s for both catchers. How many more hoops do we have to jump through to make Austin Romine look good? Fine. If we remove Gray from Romine’s numbers, it’s still a 3.95 ERA. The pitching staff had a 3.50 ERA with Sanchez. It was a 3.38 ERA when we remove Gray, which is only fair, because we did it for Romine. And wasn’t Romine supposed to be the Sonny Gray whisperer anyway? I thought he needed his personal catcher to pitch well? Catcher ERA is dumb as hell and should never ever be used in a serious analysis. It assigns way too much credit to the catcher. At the end of the day, all the catcher can do is put down the signs. The pitcher still has to execute. Sonny has good stuff and I have no reason to doubt the team’s game-planning. He just doesn’t execute. Gray leaves a lot of mistakes out over the plate no matter who’s catching. Just avoid catcher ERA all together. I only use it to troll the Cult of Romine™. Luke asks: First off, Steve Pearce? Come on! I can’t find it anywhere, but I can’t help to believe that Price had to have led the Sox in WAR for the World Series. Which players were the best players by WAR in the World Series? Is there a better way to value players (pitchers versus hitters) in general? I personally would’ve voted for Price — two very good starts, including one in the clincher on short rest, with a relief appearance mixed it? that gets my vote — but Pearce was obviously a defensible choice. If you’re interested, here are the Yankees’ postseason leaders in CPA by round. Ralph Terry is the all-time postseason CPA leader (Yankees or otherwise) with +0.994 in the 1962 World Series. Derek asks: If Clayton Kershaw opts out, how willing would the Yankees be to signing him? Would you pay the steep price? Personally, I’m terrified of it becoming a dead money contract and the postseason results haven’t been there. His fastball has also declined from 95 to 91 and his whiff percentages are way down. The fact Kershaw and the Dodgers agreed to push his opt-out back from Wednesday to today is a pretty good indication they’re working on an extension. I’m guessing it’ll be announced later today. Maybe they’ll add two years on top of the two years remaining on his contract? We’ll find out. And, just to toot my own horn, I said I expected Kershaw to leverage his opt-out into an extension without actually opting out when we did our CBS round table. Anyway, in a hypothetical world where Kershaw opts out, yeah, I’d want the Yankees to look into him. There are legitimate concerns about Kershaw. No doubt. He’s had back trouble three years running now and his underlying performance (and velocity) has slipped. Kershaw’s also only one year older than Patrick Corbin and still very good. Hurt and declining Kershaw had a 2.73 ERA (3.19 FIP) this year. He’s starting from such a high baseline that he’ll still be really good even when factoring in decline. I’m not saying I’d go all out to sign him. But if we’re talking Kershaw at three years and $100M vs. Corbin at five years and $100M, I’d probably go with Kershaw. Dave asks: Thoughts on Joe Mauer for 1st base next year – good contact, high on base, plus good defense, and a low strikeout total (plus he’s a lefty). Always loved the guy and as a stop-gap player on a cheaper deal might be a very good fit.
? … only to sign with another team this offseason. Seems to me it’s either retirement or the Twins with retirement in the lead. (MLB.com even cooked up a career highlights video already.) In theory, yeah, I think Mauer would be a real good fit as a high on-base lefty contact guy. He has no power, but that’s fine. The Yankees have power to spare. If Mauer’s willing to leave Minnesota and sign a cheap one-year deal, yeah, the Yankees should check in. I don’t think he’s leaving the Twins for another team though. It’s the Twins or retirement. Hector asks: How many games did the Yanks have Sanchez, Torres, Didi, Stanton, Judge and Hicks on the lineup? I bet it is less than 50. Yanks just need a little more luck to go their way in 2019. I still believe in their overall talent. I count 31 games with Gary Sanchez, Gleyber Torres, Didi Gregorius, Giancarlo Stanton, Aaron Judge, and Aaron Hicks all in the lineup this year, or 19% of the regular season. Fewer than one out of every five games. I mean, the talent is obviously there. The Yankees do have replace Gregorius now, but there’s a strong core in place already, and it’ll be there again next year. I just don’t like the “we’ll be better next year with good health” line of thinking. Injuries are part of the game. Every team has to deal with them. The Yankees dealt with them better than most teams this year — that’s why they won 100 games while playing their A+ lineup less than 20% of the time — and they’ll have to deal with injuries again next year. That’s baseball. Garrett asks: The Pirates just declined Josh Harrison’s option. The Yankees have always been linked to him. 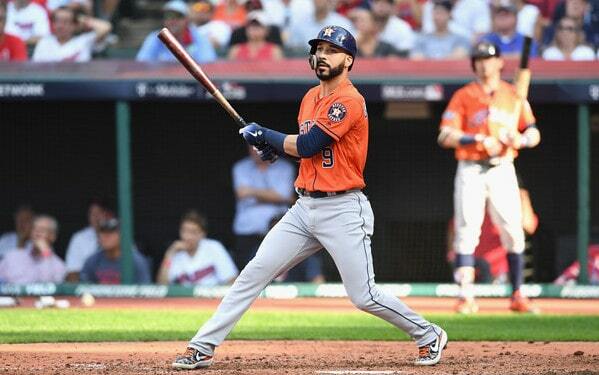 Could you see them signing him to play 2nd with Torres moving to SS and moving into a utility role when Didi returns? What would it take? Yeah, I think Harrison is someone to keep an eye on. The Yankees have been connected to him several times over the years, though I always got the sense they were kinda lukewarm on him and weren’t willing to go all out to get him. Now that he’s available for just cash, it makes more sense to get involved. That said, Harrison wasn’t very good last year (.250/.293/.363 and 78 wRC+) and he’s been a sub-100 wRC+/sub-1.5 WAR player in three of the last four years. Maybe he can improve going forward. I’m not sure how much I’d willing to bet on that. I think the Yankees see Harrison as more of a fallback plan on the middle infield rather than Plan A.